It’s here, my very own packing list printout. I designed it specifically for the way I pack a capsule suitcase. 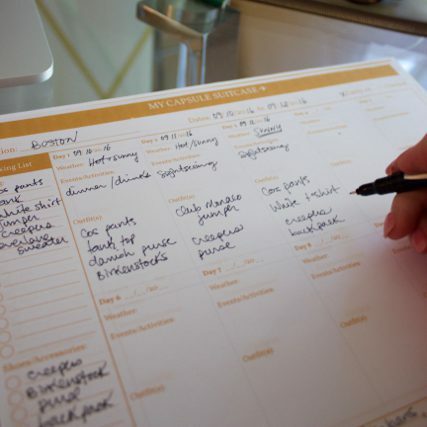 I determine the destination, date, vibe, then list out my items, and plan outfits based on weather and events. Download it here by signing up to my email list! A) You can simply write out your packing list and use the circles to check off the items you’ve packed. B) You can number your items and create combinations.